Our Victory Series Race Suits are ideal for Racers and Teams that are looking for a basic style race suit without the cost of heavy design and embroidery work. These suits come manufactured using a Woven Non-Shiny Nomex/Meta-Para Marmid fabric and a soft Nomex Aramid style Knit liner. 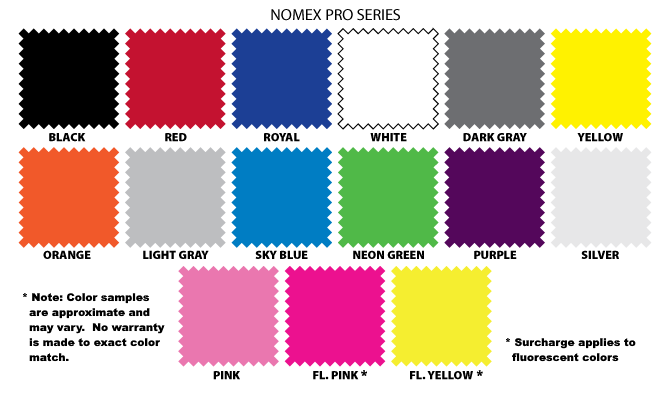 Tailor Fit and Premium Nomex Colors are available at surcharge. Choose from one of our Five Standard designs.